Augmented Reality. What’s all the buzz about AR? Some say it has the potential to be the most explosive marketing tool since the advent of smartphones themselves. 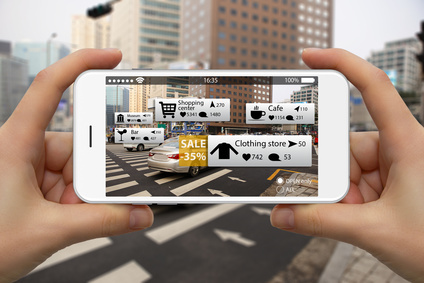 In brief, Augmented Reality is a technology that gives users the wherewithal to view, hear and interact with digital creations in the real world. All from their iOS or Android device–including tablets. It is the convergence of virtual and actual realities! Prairie has teamed up with Miralupa—a world-class provider of AR technology. Miralupa has developed AR solutions for a vast variety of applications, in the industrial, commercial, printing, gamification, exhibitions, events and advertising sectors. And beyond having 3D imaging come to life on one’s smartphone or device, Miralupa offers clients measurable and trackable results through a robust proprietary analytics tool that is unparalleled in its feature-laden AR authoring and publishing platform. The result is that specific user profiles and demographics can be captured for even further target marketing. Want to know more? Contact Prairie today!